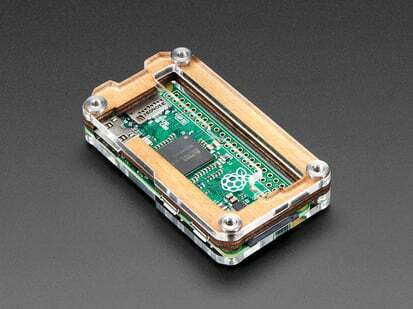 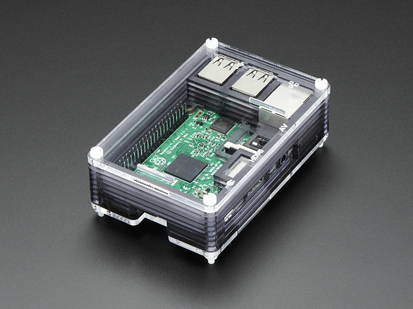 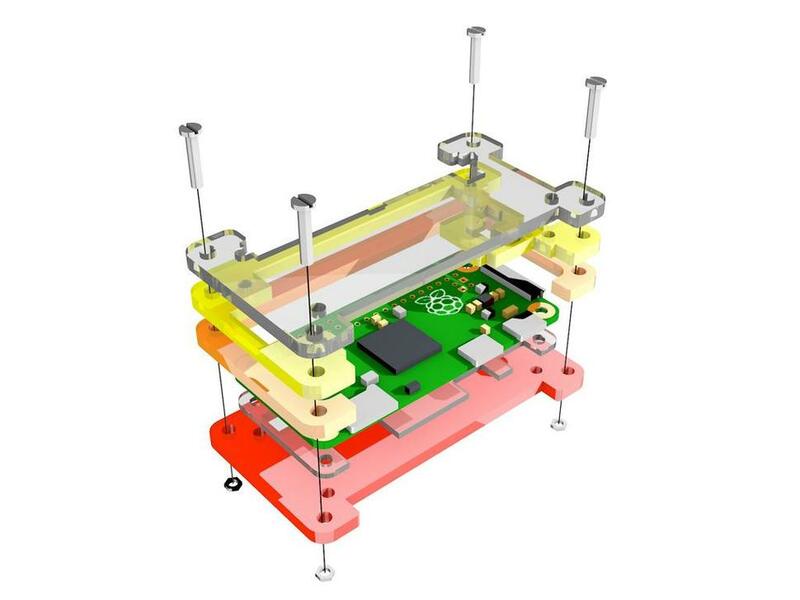 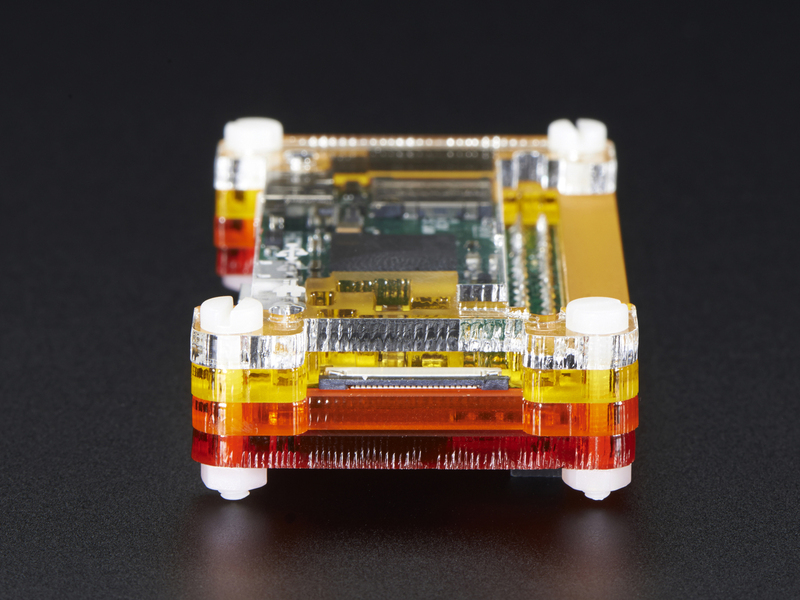 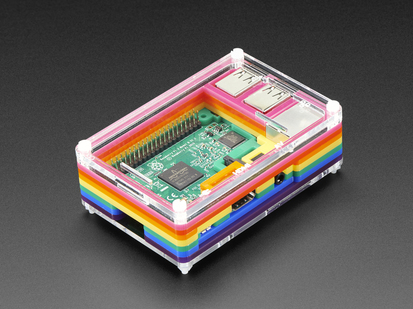 Crafted out of four transparent acrylic pieces the Pibow Zero Case for Raspberry Pi Zero protects your Pi while showing it off to the world! 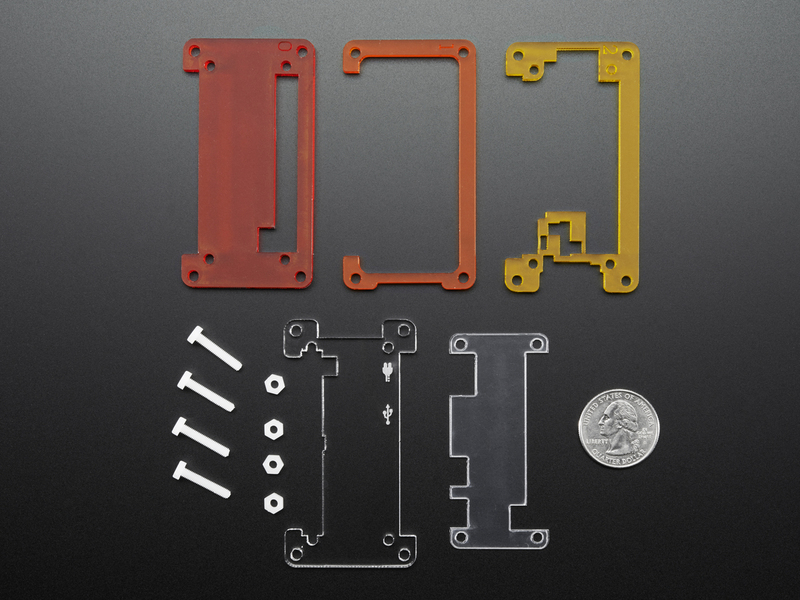 Each layer is laser-cut from colorful, lightweight, and high-quality cast acrylic. 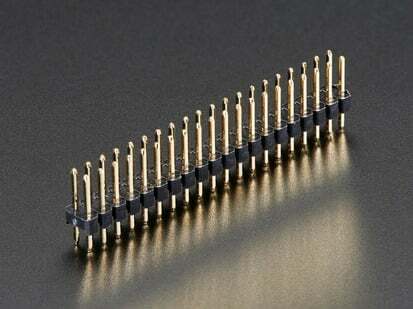 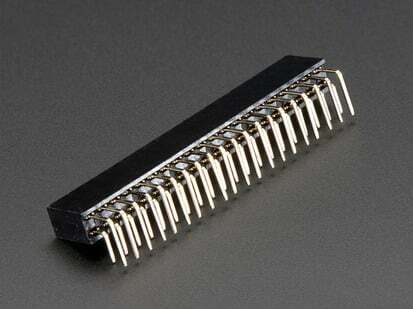 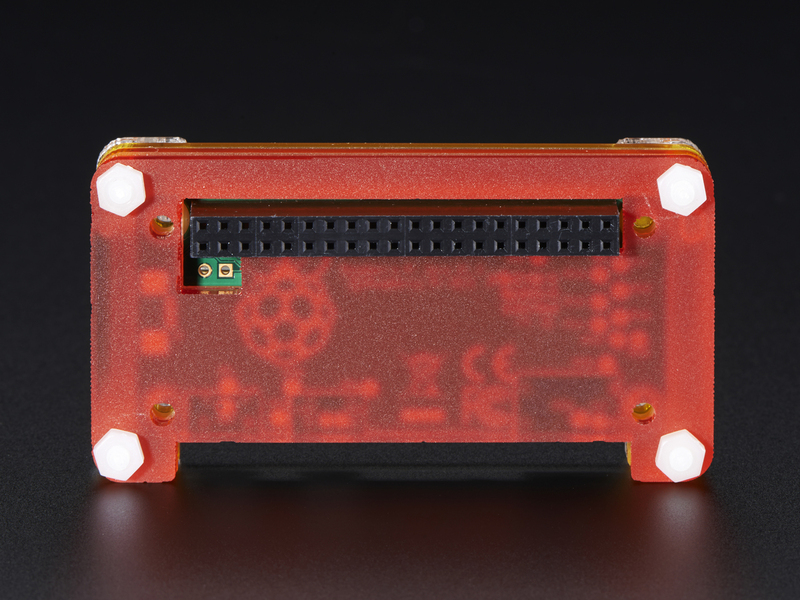 All of the primary ports and GPIO pins are accessible (it encloses the micro-SD slot). 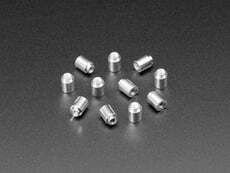 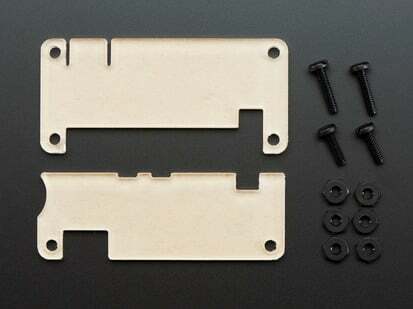 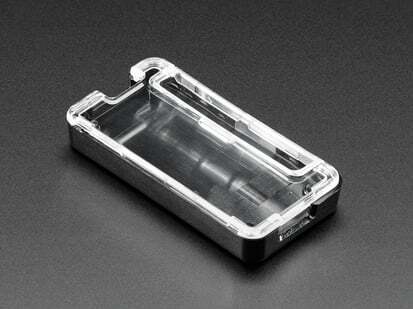 No tools are necessary for assembly or disassembly and the case comes in at a conveniently lightweight 34g. 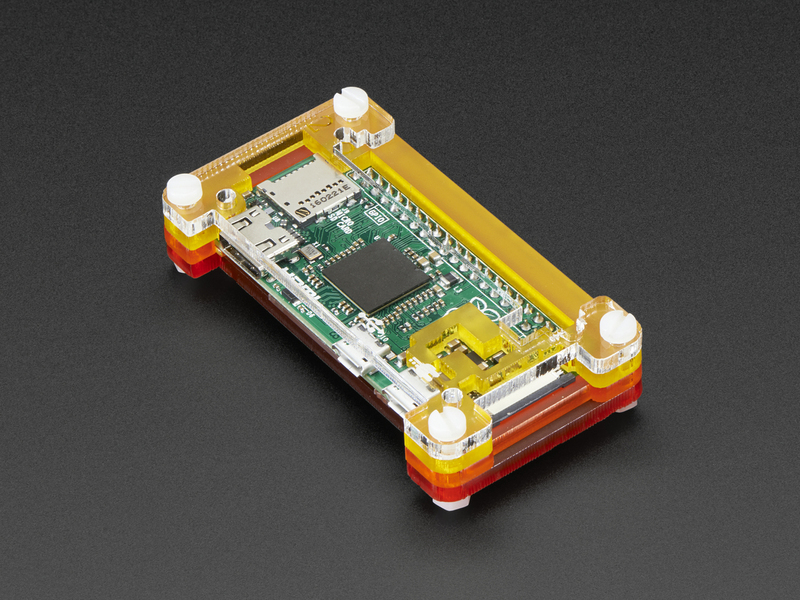 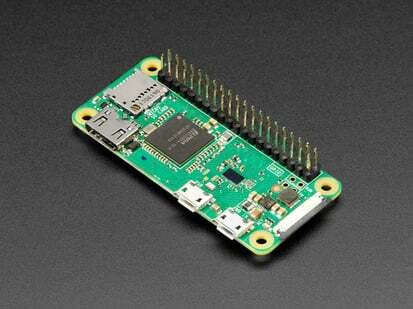 Check out our Pi Zero category for all kinds of goodies. 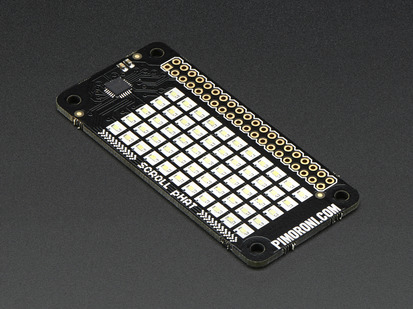 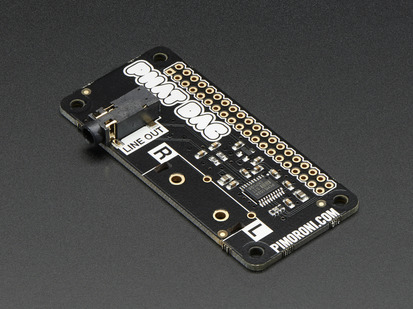 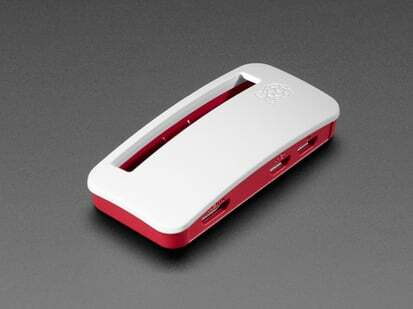 As of June 19, we now carry a version that ONLY fits the Pi Zero v1.3 (with Camera Connector). 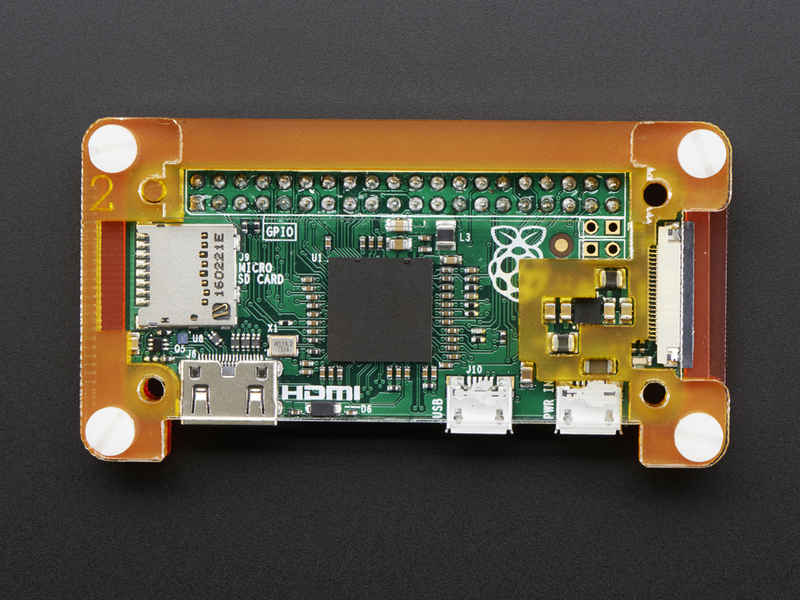 It does not fit earlier versions or the Pi Zero Wireless (Pi Zero W or WH). 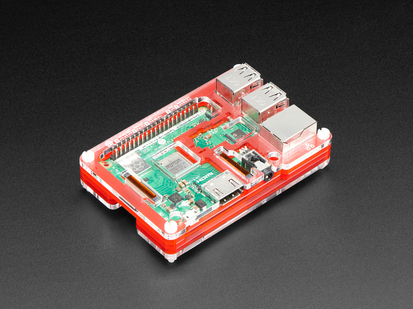 Pi not included!